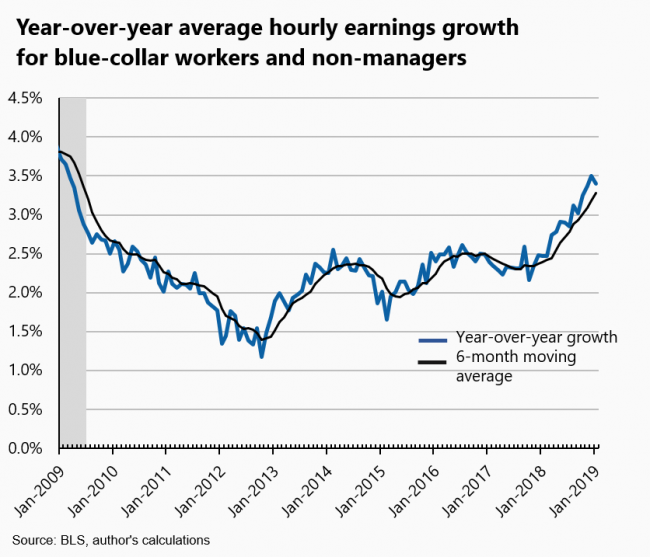 6 comments in reply to "January Jobs: Another upside surprise shows the benefits of closing in on full employment." Of course we know who’s responsible for all this winning, don’t we? No need to mention his name, it’s already plastered all over the universe. I don’t agree at all. That report suggests the US economy is nearing recession…………..starting in the service sector. Which would be the first since 1973. Basically corporate consumption has plunged, looking starting in December which has resulted in a actual decrease in full time jobs and goosed up part time/LFPR due to the breakdown in demand. 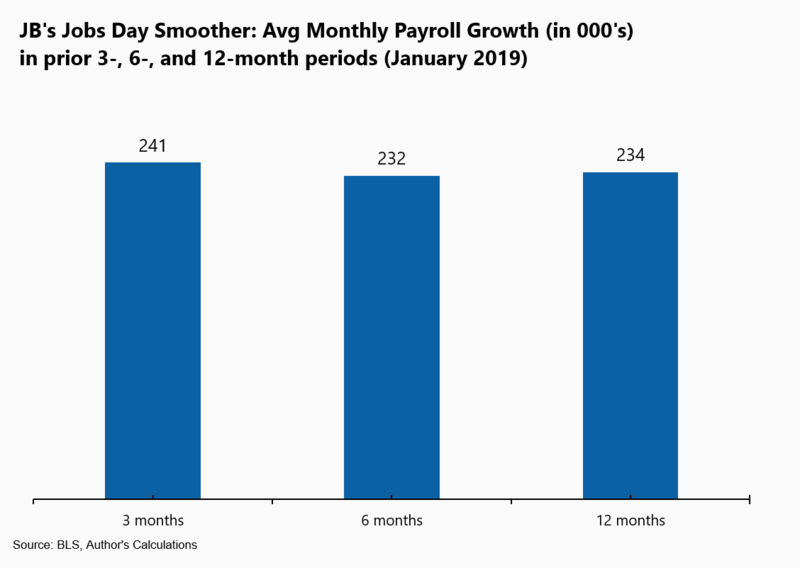 This also decreased wage growth in that month which will be a feature as full time jobs contract. This bias with overhead NFP is going to get investors killed. I remember US industrial growth surging in 1974 and throughout 1957. Sadly, they ended up lagging the cycle and creating one huge inventory dump by the end of those recessions. 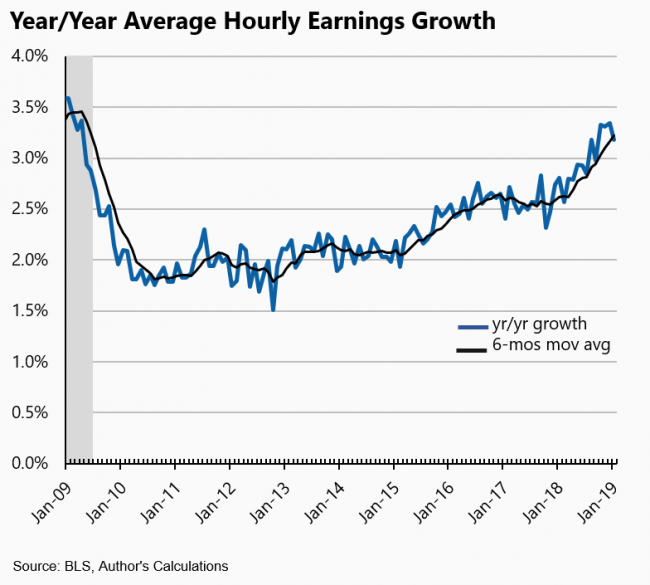 I agree that the increase in payroll employment numbers are encouraging, but I can’t agree that we are nearing anything close to full employment. Male labor-force participation rates have been trending down for decades. The official U3 and U6 numbers are pathetic underestimations. The only reason to deny it is because Donald Trump thinks the real numbers are higher. I’m sure that you know that some serious scholars have been estimating ranges for the total amount of un- and underemployment that may be closer to Trumps view. In “Men Without Work,” by the AEI’s Nicholas Eberstat, has a figure of 10.5 million more men without jobs than would be the case if age specific work rates had held steady since 1964. Andrew Yarrow of the Progressive Policy Institute’s book “Man Out” (which I am still slogging through) puts the top end of the range close to 20 million non-working men. In both cases, particularly Yarrow’s, a large number of men have left the labor force for reasons other than lack of labor demand. But those numbers do not include women, in part because it’s harder to estimate their desired labor-force participation rates. Of course, we have the recent work by ProPublica and the Urban Institute shows more than half of older U.S. workers are pushed out of longtime jobs before they choose to retire. I won’t try to estimate a realistic range for the real numbers of un- and underemployed, but it’s far higher the U3 or U6. And like dark matter, this unobserved unemployment exerts a downward gravitation force on wages. A coalition of business groups and progressives want to maintain the myth of impending labor shortages (or that labor shortages are even a problem). Business wants to keep wages low. Progressives need to justify open borders. Your contention that “we’re closing in on, but not yet at, full employment” is off the mark. Women are more likely – on average – to keep low-paying jobs because many are single mothers, whereas men are not. You don’t quit your low-paying job if it;’s the only way to feed your family. Instead, you get an additional PT job, raising the employment rate, but misleading the statisticians once again. 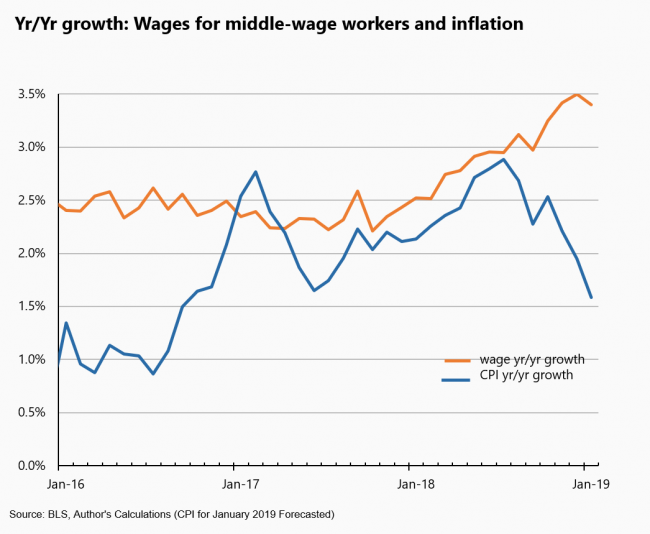 We have median wages, average wages, household income, but no percentage of the workforce that is at a living wage for a couple (let alone with children). Goal in many countries is to provide a single wage earner with enough resources to get married and have children without going bankrupt because of healthcare or senior care. I don’t know how this would be calculated, but its change over time would be a real indicator of progress for the average American family.